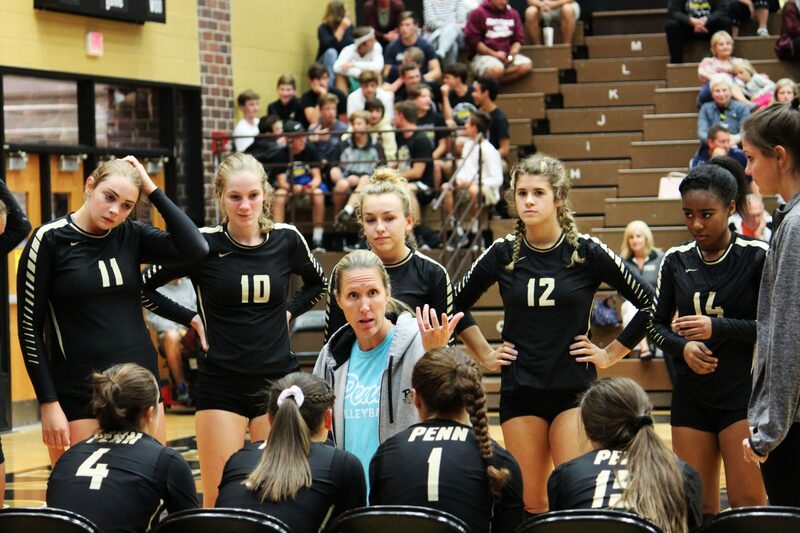 Penn’s Volleyball Team beat Warsaw, 3-0, on Monday, Sept. 11. The Kingsmen posted winning scores of 25-16, 25-14, 25-20. Alyssa Torres led the Kingsmen with 12 kills, followed by Italia Fields with 10 kills and Rachel Rupert with 9 kills. Naomi Willis led the team in assists with 27. Rachel Hickey hustled for 18 digs, followed by Kylee Hixenbaugh with 12 and Julia Beers with 11.